The Red List of Theaceae, the tea family, was published by BGCI in December 2017 and identified that more than a third of the world’s Theaceae species are threatened with extinction. The report assessed 254 Theaceae species and identified 85 as threatened with extinction. Sadly, the report also identified two species as Extinct in the Wild, the Franklin tree Franklinia alatamaha and Camellia amplexicaulis, highlighting the urgent need for conservation action. The genus Camellia has long been a horticultural favourite, giving a burst of winter colour to many gardens. Across the world, many people start their day with a warm cup of tea often derived from the species Camellia sinensis, or another close relative in the Camellia genus. 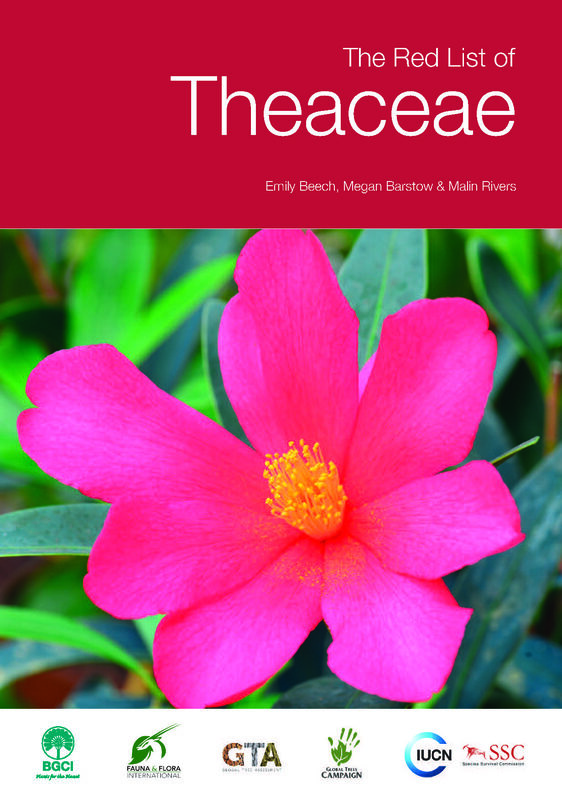 However, the new Red List of Theaceae published today revealed that nearly half of Camellia species are at risk of extinction in the wild. Tea itself (Camellia sinensis) is assessed as Data Deficient, due to a lack of available information on the species wild population, despite its global cultivation. Theaceae does not only contain Camellia species; conservation assessments for the other eight genera were also included and overall one third of species are threatened. With the majority of these threatened species (32) assessed as Critically Endangered, the highest threat category on the IUCN Red List. Lesser-known genera such as Stewartia, Pyrenaria and Polyspora were frequently assessed as Data Deficient, with many species only known from a single herbarium collection. Download the Red List of Theaceae here for more information including an ex situ report.